As Director of Safety and Environmental for Kraft Foods North America, Ken Wengert is the company’s energy lead, responsible for the development of the strategies to achieve Kraft energy reduction targets. Based outside of Chicago, he is responsible for the development of the safety and environmental processes that cover over 40,000 employees in 200 locations. He joined the company 19 years ago and has also held the positions of Division Safety Manager, Area Director and Program Director. Mr. Wengert is a Certified Safety Professional and holds the designation of Associate in Risk Management. 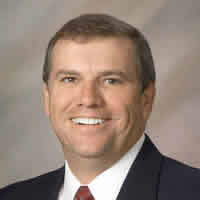 He brings more than 25 years of safety and risk management experience in manufacturing and insurance industries.